Play Table Games at the Best Las Vegas Casino! 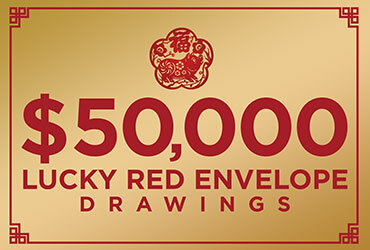 Win up to $5,000 at Rampart Casino playing table games in our $50,000 Lucky Red Envelope Table Games Drawings. Rampart Rewards members can start earning entries beginning January 26 by playing Table Games. Earn one entry for every one hour of table play with $10 average bet. 20 winners every weekend win up to $5,000 cash from the prize drum. Visit our casino promotion page to see all the fun we have planned this month and learn more about our table games on our website. Visit the Pit for details.